When it comes to pitting your local home building firm against the national giants, you may already be on a more level marketing playing field than you think. You can tip the scales even further in your favor by excelling where the big companies fail – all on a reasonable budget. A Rex Briggs study notes that big firms waste 40 percent of their marketing budget, largely by focusing on traditional outbound strategies like direct mail and TV advertising that either no longer work or aren't effective as they were previously. Meanwhile, large builders are ignoring newer digital strategies like inbound marketing that are highly effective. In fact, big firms only spend about 24 percent of their marketing budget on web and social media marketing, according to the Construction Marketing Association. These are the very areas where digital marketing opportunities abound for savvy local builders. 8 out of 10 consumers utilize the Internet to research and purchase products and services. Given this consumer focus on the Internet, inbound marketing seeks to attract and convert new customers using your home builder website as a key digital asset. By regularly creating and updating content on your website and blog you will attract customers searching for your services. You can then promote your website content through Facebook and other social media channels. One of the best ways to shift into inbound marketing is through a website blog. As a home builder, your blog is your greatest marketing asset. It has the power to attract new readers from online search, convert those readers into qualified prospects, and finally generate revenue with a closed sale. Positioning yourself as a thought leader in your local industry can bring you attention from the local media, but more importantly it builds trust with your customers and your local community. You may focus on communities for those 55 and older or be a LEED certified builder - it's important for potential buyers to know and understand where you expertise lies. Google has revamped its algorithms to reward quality over quantity. Stocking your blog with quality content geared toward your target audiences can increase your search engine rankings and your traffic. Spend time developing your target buyer personas in order to write content for those buyers. For example, families relocating to your area, first-time home buyers, or luxury buyers all have specific needs that can be addressed with content on your website. Your blog content should answer buyers’ questions, solve their problems or otherwise provide valuable information they can use. Gather ideas from keyword searches, reviewing other blogs in your industry and asking people in each audience segment what they want to know. Engaging with your audience is one more way to get another edge over national builders. By having a social media presence aligned with your main website you can respond to comments, answer questions and show your company is stocked with knowledgeable, real people who go out of their way to do what’s best for your customers. Be careful not to bite off more than you can chew. Writing, editing and producing regular blog content and commenting on social media can add many hours to your day. As a home builder you don't recommend that your customers build their houses themselves or serve as their own general contractor. Similary, as marketing professionals, we don't recommend you build your own website or do you our own marketing without support from experts. 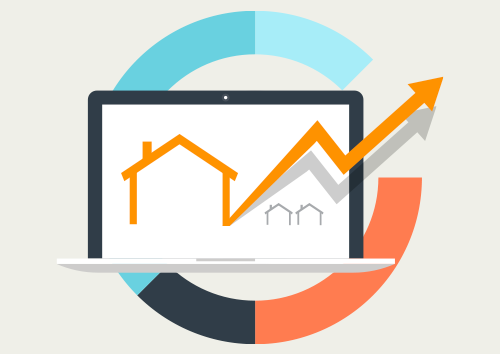 Here at LyntonWeb we've helped numerous clients in the real estate industry grow their online presence. We'd be happy to have a conversation with you to understand your goals and see if we could be of assistance. Speak to a LyntonWeb expert today.